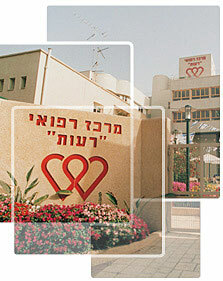 Reuth Medical & Rehabilitation Center is one of Israel's leading institutions in the field of rehabilitation and long-term care. The Center provides multidisciplinary rehabilitative care to people whose motor and/or cognitive functions have been impaired by illness or injury. Thousands of people are treated at the facility every year, either in the hospital wards or at the Day Rehabilitation Center. In addition, the hospital is a lifelong home to dozens of long-term patients - from infants to seniors – who require round-the-clock nursing care. Founded in 1961, Reuth Medical & Rehabilitation Center combines a longtime tradition of compassion and human dignity for all, with excellence, state-of-the-art technology and top-ranking professionalism.